With the end of summer comes some exciting new features for Black Lab Server 7. Its a huge release. So lets go over some of these changes and features for you. 1. We finally leave behind the 3.0 kernel series and we are up to kernel 3.19 which has some unique features and additional hardware drivers. 3. Black Lab Server 7 is a virtual machine platform. Not only do we support legacy 16 bit and 32 bit applications we also support Windows 7/8/10 FreeBSD, Solaris, eComStation, as well as Xinous OpenServer X Virtual Machines through Virtualbox. We also virtualize mainframe OS's through Hercules. If you are going to emulate Mainframe operating systems you have to get the OS through your Mainframe software provider and upon our testing of z/OS we dont recommend any less than 32 gb of RAM. You can use 16 gb but we found the sweet spot to be 32 gb. 4. LAMP Stack - It comes with the full LAMP stack as well as support for Tomcat application server and JBoss. 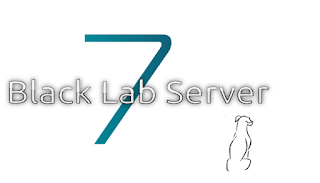 Black Lab Server 7 is also the only Debian derivative to be certified for Oracle Database Products, Oracle Hyperion, IBM WebSphere, Apple WebObjects and Red Hat JBoss Application Server. 5. Security. We have made this the most secure server OS on the market today. You can disable or enable USB and other data ports through the OS. No more super glue is needed for your USB ports. USB sticks and other removable media needs to have an admin password to mount. All user directories are encrypted by default. 6. Data security - We realize data security is important to our customers. we have instituted the Watchdog subsystem. Watchdog is a proprietary subsystem developed by us and it requires two admin level users to transfer data from the server to any removable drive. Any file that resides on that server. There is no way to bypass that feature or to turn it off by a normal user. Black Lab Server 7 is certified on a few systems by the vendor. Starting price for the software based release of Black Lab Server 7 is $995.99 USD Corporate and $550.00 USD for education for a two year service contract. This is a per server price with unlimited client licenses. Black Lab MiniSERV - Desktop Core i3 processor 1TB hard drive, 16gb of RAM expandable to 32 gb. This system starts at $799.00 and you can order the base model from our webstore http://www.pc-opensystems.com/p/commercial-hardware.html Contact sales@pc-opensystems.com for education pricing. Black Lab POWERServe - 1U Rackmount Intel Core i3-540 3.06GHz, 16GB DDR3 Up to 32GB DDR3, 2x 500GB Hard Drive. Starting at 1,299.99 you can order the base model from our webstore http://www.pc-opensystems.com/p/commercial-hardware.html Contact sales@pc-opensystems.com for education pricing.